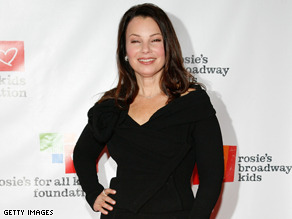 Fran Drescher is a women's health advocate and a public diplomacy envoy for the State Department. NEW YORK (CNN) - Actress Fran Drescher has expressed interest in being appointed to the U.S. Senate seat that New York's Hillary Clinton is giving up to become secretary of state, a spokesman for the actress said. Drescher, 51, is best known for her starring role in the 1990s television comedy "The Nanny" and an adenoidal voice that could strip the rust off an engine block - a talent that might come in handy during a Senate filibuster. But since a bout with uterine cancer, she has become an activist for better health care for women and was named a State Department public envoy on the issue in September. Drescher recently toured Eastern European countries to raise awareness of the issue on behalf of the State Department. New York Gov. David Paterson will appoint a successor for Clinton, who still must be confirmed by her Senate colleagues for the Cabinet post. That successor would face voters in a special election in 2010. A spokesman for Patterson did not immediately respond to a request for comment Tuesday morning. Speculation over Paterson's choice reached a frenzy over the weekend after reports that Caroline Kennedy, daughter of assassinated President John F. Kennedy, had phoned to discuss the position. Paterson said Monday that Kennedy had called him and "asked a few questions," but dismissed other reports as "gossip." treated as some sort of reality TV show," he added. A senior adviser to Clinton, Philippe Reines, said she would not comment on her possible successors. "This is entirely Governor Patterson's decision and we're respecting the privacy of his process," Reines said. All movie stars and lawyers ought to be banned from any political office. They offer nothing. This country is in serious trouble because of inept lawyers (over 90% of our congress is an lawyers) trying to make laws on subject matter which they know nothing about. Then then listen to consultants who bribe them to follow "their" ill ideas – and this country suffers as a result. I prefer Caroline Kennedy. Why does Fran want the seat? And exactly what office does Caroline hold? Fran would be an excellent addition to teh Senate. She has more personal integrity and character than Reid and his group of Senate thugs by far. Who knows? She might be the best thing that's happened to the senate in a long, long time!! OMG...could you imagine a Fran Drescher filibuster??? It would make my dogs howl in pain (not to mention ME). Next up: Governor Jim Belushi (D-IL). Heard the job's gonna be open. No annoying nasal voice plz!!!!!!!!! I rather have a dignified woman like Caroline Kennedy! Go Nanny Fran! Show 'em what you got!! I saw Fran on the Larry King show awhile back and this lady is one smart cookie. She is not the nutty character she played on TV. I think she would be a fine senator for New York. She's definitely better than many of the so-called politicians that are in the Senate and the House. Ah ah ah ah ah ah ah AHHHH...that laugh...that laugh! Can't wait since I live nowhere near NY. What about Steven Colbert? Shouldn't he be considered too? Stephen Colbert lives in north New Jersey not New York state. He just tapes his show in New York City. It looks like the senate is on its way to star DOOM! Can you imagine that laugh echoing through the walls & halls of the Capitol Building?